Personalised Leather Kindle Fire HD Swivel Case. 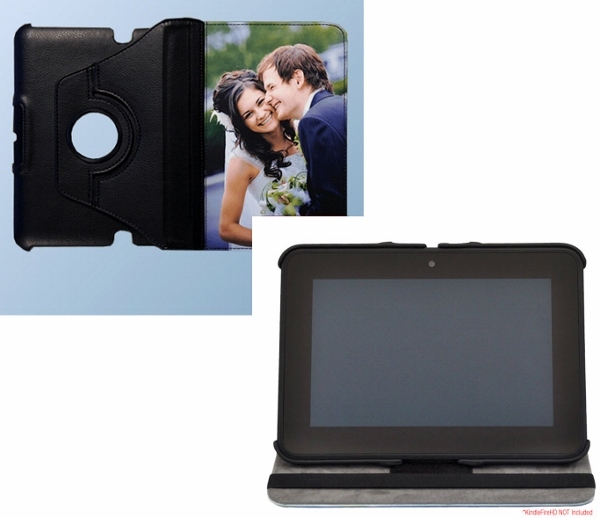 The case features a full colour personalisation area to the front, inside the convenient swivel stand mechanism enables using the Kindle HD in landscape orientation. The case has durable stitching and an impact resistant, armoured hard back with a gentle microfibre lined cover to help keep the screen of the Kindle scratch free. It is a perfect unique must have gift!